Reliable Heating & Air offers different financing programs for our customers and we help you find the program that’s just right for you and your budget. Reliable has financing for complete replacements and installations all the way down to a simple repair. Lack of funds should never be a reason to not move ahead with your planned projects or emergency situations that may come your way. Our goal is to find the right financial program for you, whether you have good or poor credit. Many of our customers simply have others uses for their cash and take advantage of one of our many convenient payment options. All financing programs require application and prior approval before any work can be performed. All financing programs require application and prior approval before any work can be performed. 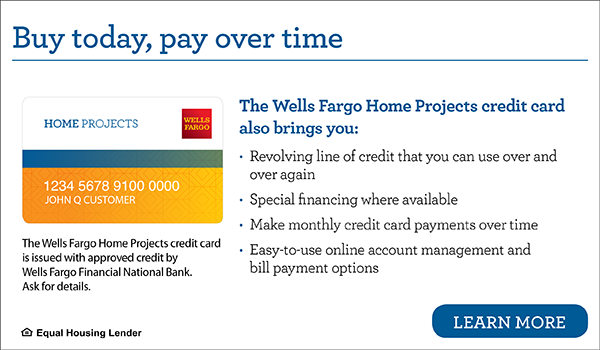 To apply for Wells Fargo Home Projects click link below. To discuss other financing options please call and discuss with our comfort consultants who are happy to help (770) 594-9969.